In this modern world in which we live anxiety, stress and depression are commonplace, even affecting the younger generation today in large numbers. If you are looking for a better way to cope with stress and anxiety and rebalance the body energetically to allow for healing and the clearing of old patterns that are no longer serving your best interests, then I have something to offer you. Science has now proven beyond the shadow of a doubt what all Energy Healers have always known and that is the existence of an energy field surrounding our bodies which can now be measured and photographed with sensitive scientific equipment. This is exciting news! If we can first understand that stress, anxiety or illness are the results of interruptions to this energy field, then we must also understand that the body must be treated as an entire field, energetically speaking, in order to re-establish our full healing potential. There is no successful way to treat an individual symptom or single part of the body, the body will always compensate in some way, resulting in a game of symptom chasing, leaving the body even more exhausted, anxious or unwell. Blending the ancient healing tradition of Reiki with the new science of Reconnective Healing and Bio-Energetic Synchronisation Technique, you can book a 30 minute or 60 minutes individually structured Energy Clearing session that will help you relax and rebalance. An Energy Clearing session will assist in balancing all body systems, clear long-held emotional patterns, beliefs and traumas and allow the body to heal. Leaving you feeling relaxed, calm and restored. You can book an Energy Clearing session at Wellwood Health in Loganholme 7 days a week. 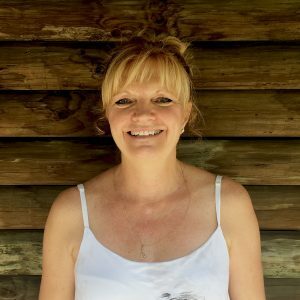 You can read about our Energy Practitioner right here on our website. You can have a 60 minute Energy Clearing Session for $89 or a 30 minute Energy Clearing session for $49.